Whitby Fishermen’s came from behind on Saturday to secure their berth in the final of the Coastal Shellfish League Cup. The Whitby side, who are enjoying a resurgent second half to the season, levelled matters before the break through a Mark Swales cracker. And a brace from Sam Bailey secured this side’s place in the final on April 15, against current first division champions Newlands Park in a tie to be played in Pickering. Fishermen’s manager Mark Storr was delighted his team have reached the final. 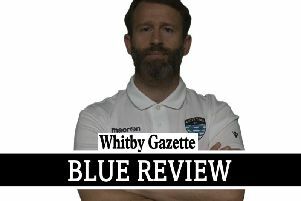 He told the Whitby Gazette this week: “Obviously, we’re delighted to have got there from the start to the season we had.